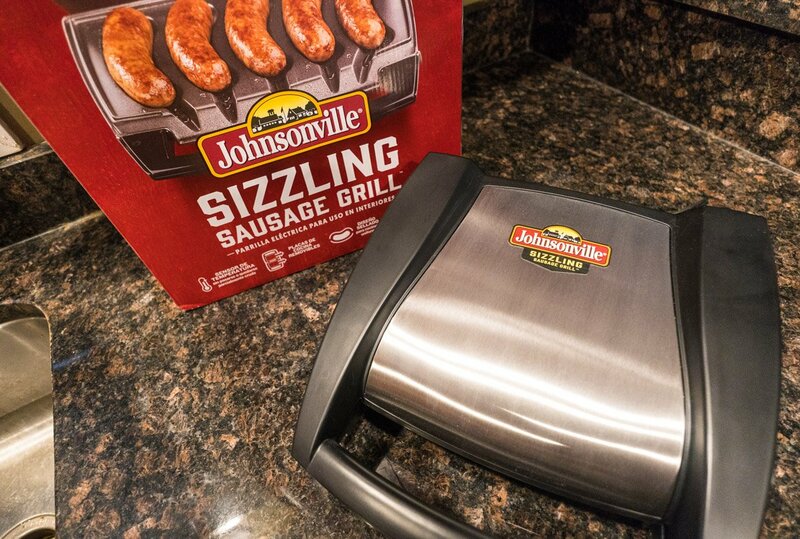 Kick off football season right with delicious fresh-cooked sausages and brats on Johnsonville’s handy indoor grill. It cooks up to five sausages at once, and cleans up in a snap. 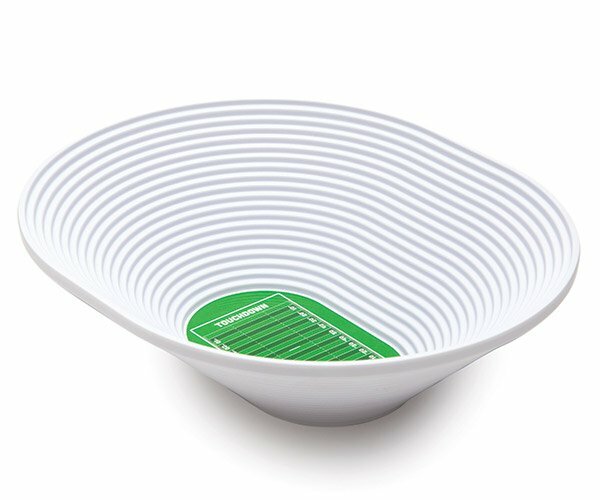 It’s perfect for feeding fantasy draft coaches or making gameday meals with no mess. The grill is super easy to use, and sets up in a snap. 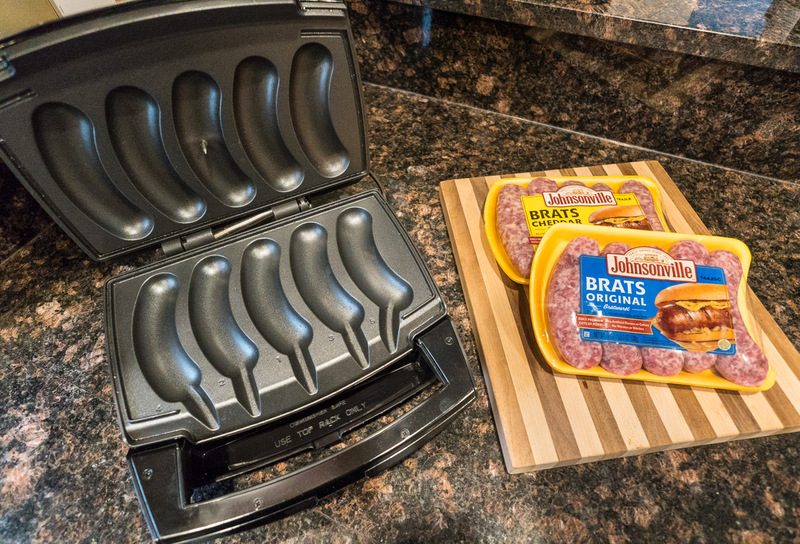 Just add your favorite Johnsonville brats to the special sausage-shaped tray, snap the lid closed, and switch it on. It works with any standard household outlet. 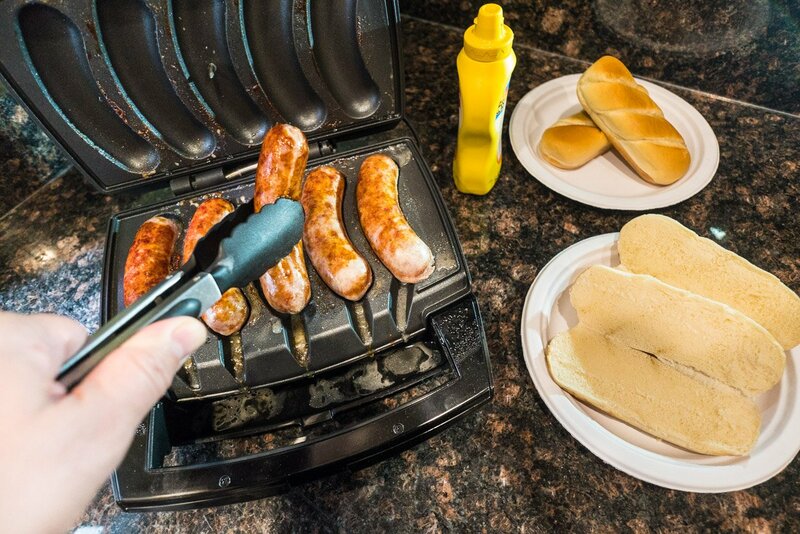 In less than 15 minutes, it beeps to let you know your delicious grilled sausages are ready. They're perfectly browned on all sides, every bit as tasty as outdoor grilled, and there's none of the mess, smoke, or grease of indoor pan frying. We like our brats with mustard only, but relish or kraut is good too. 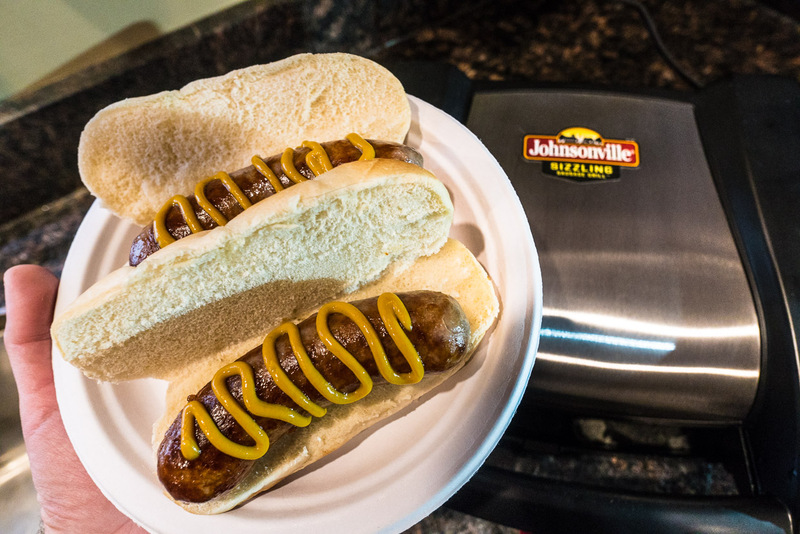 Or for extra flavor, try some Johnsonville cheddar brats, or their limited-edition chipotle and monterey jack brats for an extra kick. Cleanup is a breeze too. 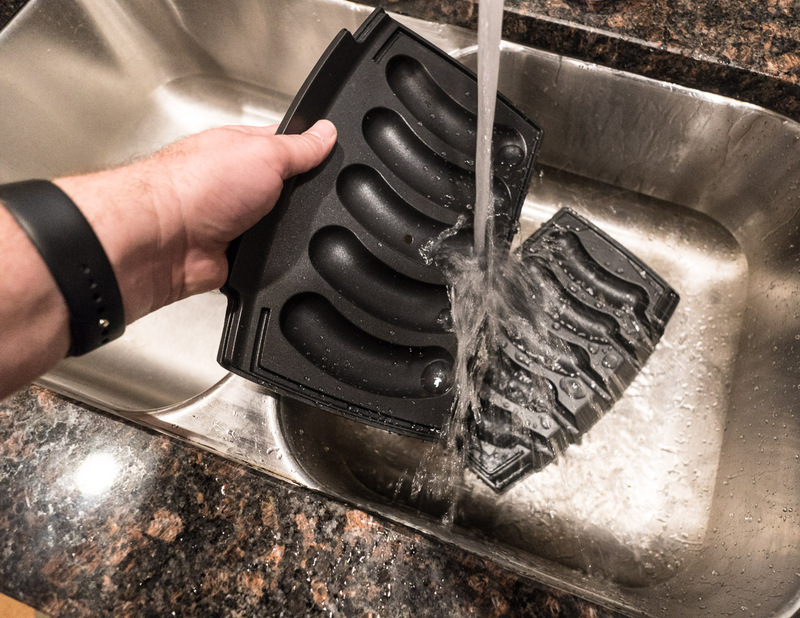 Once the grill has cooled, simply remove the plates and wash them in the sink. 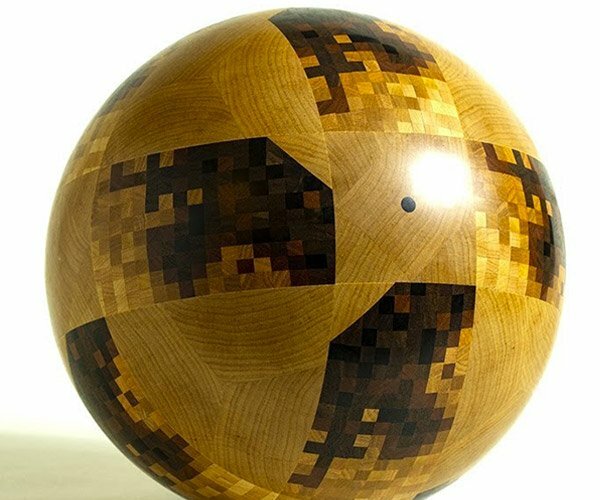 It takes less than a minute and it's ready for the next use. 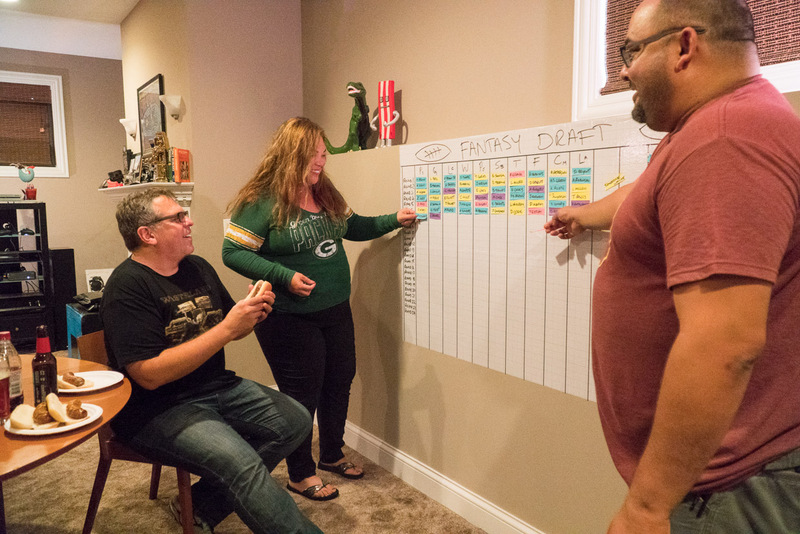 Now that you've got some tasty brats to fill your belly, your mind is sharp and ready to make your best fantasy football picks ever. Seconds, anyone?